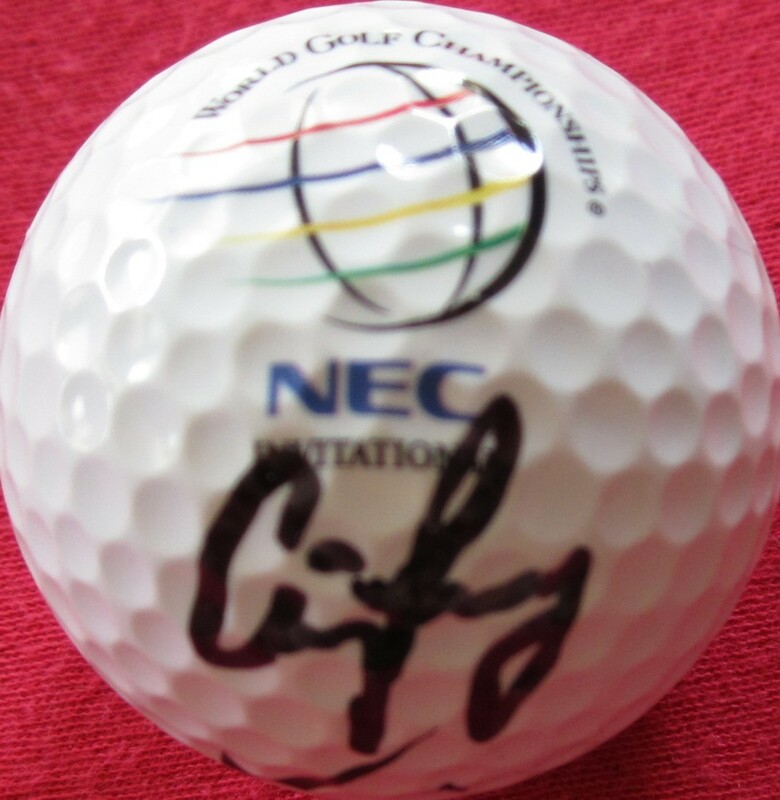 World Golf Championships NEC Invitational logo Nike golf ball autographed in black marker by Australian golf star Craig Parry, who won the NEC event in 2002. Obtained in person. With certificate of authenticity from AutographsForSale.com. ONLY ONE AVAILABLE FOR SALE.